Witnesses’ event recall and the realism in their evaluation of the correctness of their recall are of great importance in forensic processes. These issues were investigated in the present study by use of calibration methodology. 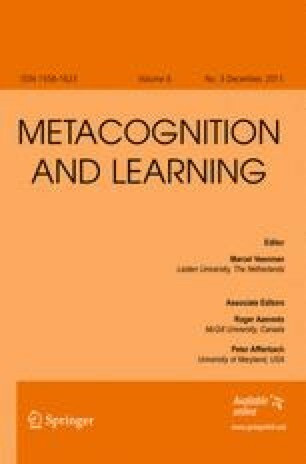 More specifically, we analyzed the effects of two recalls of the same event (repetition) and of probes (non-informative follow-up questions at recall) on 9–11 year-old children’s and adults’ open free recall and the degree of realism in the participants’ confidence judgments of the correctness of the recall after they had seen a short video clip. The findings were that repetition resulted in more units recalled both for children and for adults, and in that the children showed higher overconfidence compared with one recall, but not the adults. Moreover, when only the statements in the repetition conditions that were recalled twice were included in the analysis, higher confidence was found for the children (independent of an increase in the proportion correct statements of all statements) but not for the adults. Probing increased the number of units recalled for both children and adults, decreased the children’s proportion correct statements but not the adults’, decreased both children’s and adults’ confidence and increased the children’s overconfidence, but not the adults’. Finally, the combination of two recalls and probing disrupted the children’s but not the adults’ metacognitive performance. This study was financed by a grant from the Swedish Crime Victim Compensation and Support Authority (The Crime Victim Fund). The authors would like to thank Jonna Björnheden and Niklas Lijedahl for help with the data collection.